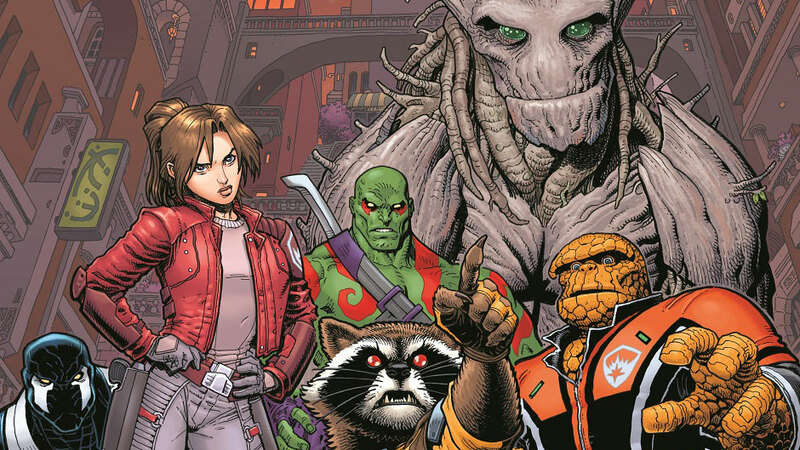 Bendis Takes Over GoTG For Marvel NOW! While I was generally positive about the start to Brian Michael Bendis’s 2013 relaunch of Guardians of the Galaxy (for the Marvel NOW! era of comics), the series goes through a few rough patches throughout, and often simply feels insubstantial. Over the course of his Marvel NOW! work, including the time-displaced All-New X-Men , Bendis really doubles down on quippy, ping-pong dialogue that tries oh so hard to sound young and hip. 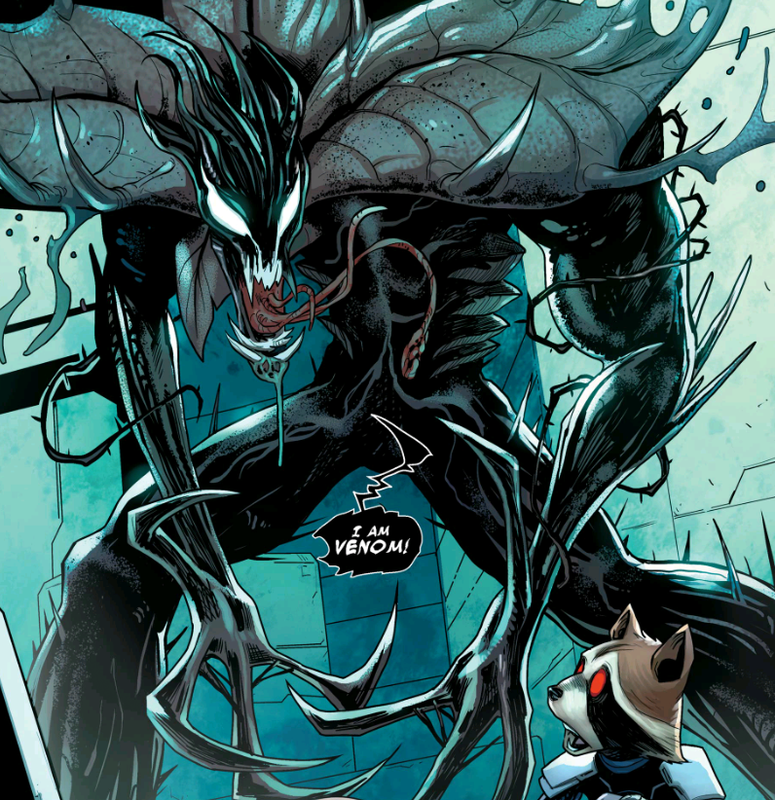 Bendis is the biggest creative force in Marvel from 2000 to 2010, and I will defend nearly all of his works from this era with passionate fervor. Whether it’s his gritty Frank Miller inspired take on Daredevil , or recapturing the teenagers in love drama of Ultimate Spider-Man , Bendis has done great work for Marvel. For me, his Guardians writing becomes nearly unreadable. I have to skip probably 50% of all dialogue bubbles. Plotwise, Guardians is better, with the deepest expansion on Quill’s father, J’Son, and the Spartax Empire we’ve ever seen. 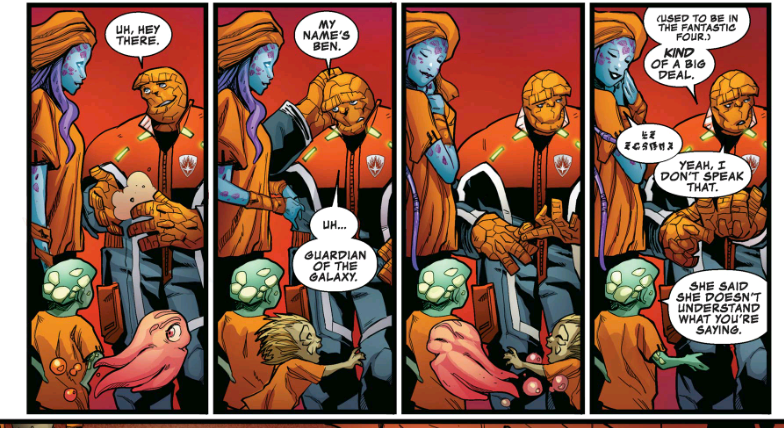 In its All-New All-Different incarnations, Guardians also begins to justify the Badoon as an alien-race to truly fear (as the Guardians of 3000 A.D. know all too well). In general, the Bendis era of Guardians is going to work better for new comics fans who came to the books through the movies. The characterizations are carbon copies of the movie counterparts, and mirror surprisingly little of what came in the Abnett and Lanning era. Even when this run on Guardians attempts to answer the resolutions of The Thanos Imperative (during the Guardians Original Sin crossover) it only raises more questions, and provides zero closure. There are fun moments throughout these arcs, but there’s a noticeable impermanence to anything from this time period of Guardians, which stands in stark contrast to the run that came before. It’s not as objectively terrible as many readers have determined, but by comparison, it’s a shockingly long run for so few memorable storylines. Anyone who likes the Marvel Cinematic Universe Guardians of the Galaxy. Hmm. It’s definitely crafted as the clear entry point for movie-goers. The likely answer here is yes, although the comic fan in me would prefer you gave the previous runs on Guardians a chance first! Check out the full Guardians reading order for the full timeline. The Guardians of the Galaxy “Grounded” story arc is wrapping up as this is published, so it’s very nearly finished. Honestly, I’d be shocked if this becomes an oft-referenced work in the future, and likely just leads to the occasional goofball line from Flash Thompson (“I used to be a Guardian of the Galaxy…”). Dan Abnett’s classic Guardians short-lived series during Marvel NOW!